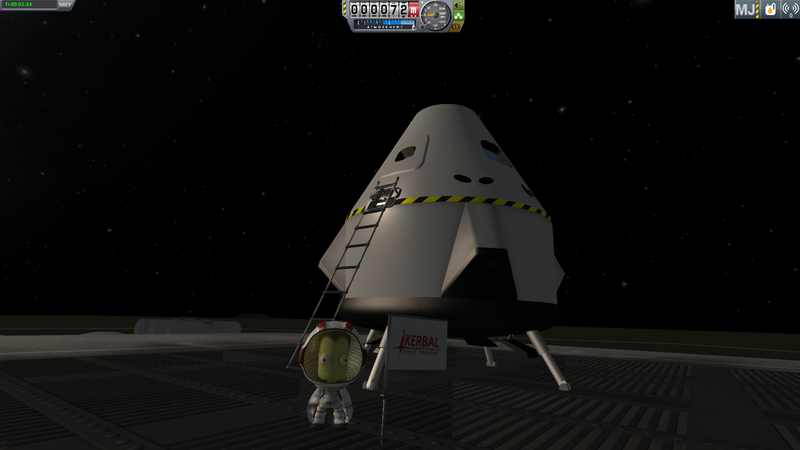 The Kerbal Deep Space Transportation System designed to transport and land up to six Kerbals almost anywhere. It has to main parts a command pod and a stack landing module with retrograde rockets. The retrograde rockets use mono-propellent and electricity as a resource. Landing gear lacks suspension and I am not planning to fix the problem. I didn't have much time to test this parts yet but I believe everything should work OK. Please report any bugs, and post suggestions to make this mod better. oh, and the only oddity is that if you are attempting to attach any parts to the landing module, it connects inside the module so it can be hard to edit parts; maybe make the connection node lower?